Accounting software has already established itself as an essential technology tool for your small business. Eventually, these technology tools help small businesses grow into more successful operations. As a business starts out, there are a lot of things you must know before investing in accounting software. In fact, the first step was probably an attempt to manage your accounting via spreadsheets. Once you’ve noticed the signs that you’ve outgrown using spreadsheets, most business will start with a small business solution that is easy to learn and easy on their budget. As a business grows, they’ll be looking for a solution that can grow with them and offer features that will help them become more functional and profitable. Some businesses may be overwhelmed with the sheer amount of options available on the market. Companies will have many reasons to upgrade software, but the choice of which software they upgrade with comes down to the features of the program. 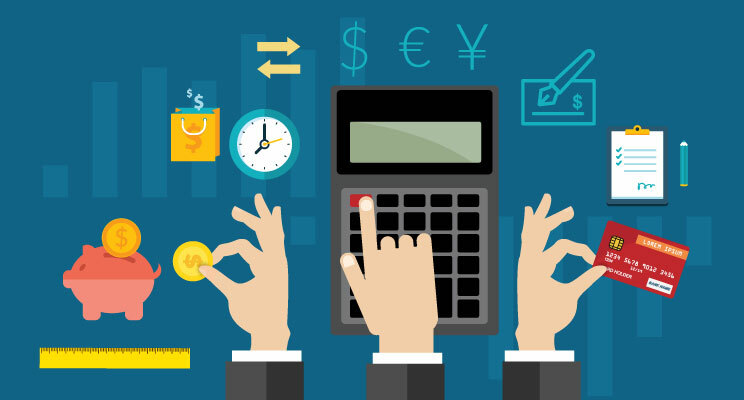 A recent study on accounting software buyer trends found that the most requested features in accounting software outside of the core three (accounts payable, accounts receivable, and a general ledger) were payroll, inventory, and invoicing. So why are a majority of businesses who are upgrading software choosing to add these features? How can these features help a business take that next step? Payroll has an immediate association with accounting. It’s something every business with at least one employee has to deal with. When a small business is in its infancy, it may simply cut the employee a handwritten check and record the payment as a business expense. As a business grows and starts taking on more employees, you need to worry about things such as payroll deductions, overtime, and tax filings. Because of this, it’s no wonder payroll is a top feature needed for growing businesses. If a business decides that keeping payroll in-house is the best answer (over outsourcing to an accountant), adding this feature to your accounting package is the right move. Payroll software is going to allow you to easily import employee hours and calculate wages based on their current hourly wage or salary. This saves the business time from manual calculations at the end of each pay period and makes running payroll more of a, “Does this look right?” situation. Whatever industry your small business falls into (retail, manufacturing, distribution), almost all will have an inventory of some sort they are selling to their customers. Without an inventory functionality module, you’re probably only recording the payments made to vendors for a shipment of goods, and the individual sales to customers of any products sold (or manufacturers from the inventory and then sold). At its core, inventory will let you get more insight on what is in stock, whether it’s items your company builds, buys, stores, or sells. From an accounting standpoint, inventory functionality is going to track the pricing of your products and provide a way to assign cost values to your inventory for better profitability tracking. There are many cost methods your business can implement (such as FIFO, LIFO, and others), but finding the right one for your business is up to you. Adding an inventory functionality to your existing system should help to decrease expenses of managing inventory by conducting more comprehensive inventory management (an effective way to pick, pack, kit, and ship the items). Invoicing is a functionality already found in your AP module. If you already have it in some capacity, you may be wondering why it’s listed as a needed additional functionality. That is because invoicing is truly only one part of your AP process. A business that creates, sends, and manages outbound invoices on a large enough scale could benefit from a dedicated invoicing functionality module. The best benefits that a dedicated invoicing module will give you is the ability to minimize late or missed payments from customers and help maintain a professional image. This can be accomplished by creating predefined templates that can import customer records. The modules can also receive and send information directly to customers, such as the invoice itself via email integration, sales quotes, acceptance notifications, and more. Some invoicing modules can even handle credit card transactions, allowing you to fulfill invoices and send receipts easily and limit the need to go to a separate program or merchant to handle the transactions for you. Businesses both large and small will find that after a certain amount of time, a limited accounting system can’t keep up with their needs. With an ever-growing field of new software solutions available, it can be hard to sift through the mess of available features to figure out what will benefit your business the most. Hopefully, these reasons have let you know all you need to know about the proper time to invest and upgrade your business software. Once you’ve had the chance to figure out the important features for your own company, you can start to consider the best practices for a smoother search.